Can I put a Dimmer Switch on LED Lights? The short answer is yes! But there are a few things that you need to be aware of. 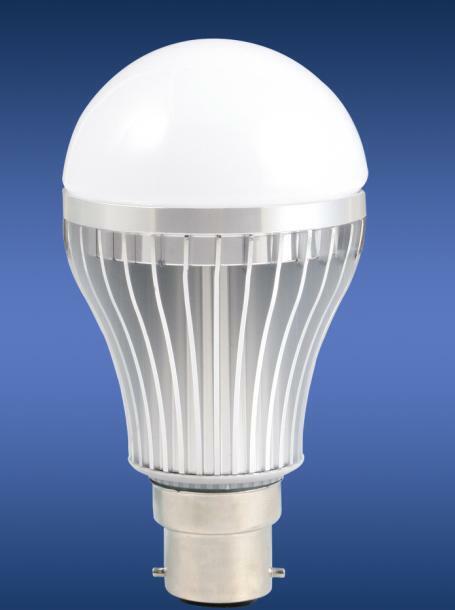 If you are simply replacing your incandescent or halogen globes with LED globes, then you need to make sure that the LED globes you buy are marked dimmable. These should work with a standard wall plate dimmer. If you are replacing an old light fitting with an LED light; for example, replacing a halogen downlight with an LED downlight, then you will need to make sure that the LED driver is dimmable. The LED driver does a similar job to the transformer on your old light fitting. It takes the incoming 240VAC power and converts it into the required DC power for your LED light fitting. You won’t be able to use the existing transformer with a new LED light fitting. Although the LED driver does a similar job to a transformer, it does it in a completely different way. In fact an LED driver is an electronic device. It has to be especially designed to work with a dimming switch. If you are buying a new light fitting from a hardware store it will come complete with a LED driver. You will need to check that your new light fitting is compatible with standard dimmer switches. The dimmer switch you find in most Australian homes is either a leading-edge, or trailing-edge TRIAC type dimmer. These work by ‘chopping’ the AC mains going into the LED driver. For a LED driver to work with a TRIAC type dimming switch it needs to be an AC Phase Cut Dimming type LED driver. This means that the LED driver has built in circuitry that can detect the AC being ‘chopped’ and dim the LED light accordingly. If you try to use a dimmer switch with a standard ‘non-dimmable’ LED driver then the lights will go off, or may start to flicker. It may be that the LED light fitting that you have bought only has a standard ‘non-dimmable’ LED driver in the box. If this is the case then you will need to find a dimmable LED driver that is compatible with the LED light fitting. Ideally you want to find a LED driver with AC Phase Cut Dimming so that it will work with your existing dimmer switch. Power Supplies Australia stocks two different series of LED driver with AC phase cut dimming. The Power Source PDV series of TRIAC dimmable LED drivers have a constant voltage PWM type output. This means that they will dim evenly regardless of the actual load on the LED driver. Some constant voltage LED driver require you to have a 'maximum' load on them in order to dim evenly. The PDV series LED drivers are available in 30-WATT, 75-WATT, 100-WATT, 150-WATT, 200-WATT, 300-WATT and 360-WATT versions. Power Supplies Australia stocks both 12V and 24V versions of each. The 30-WATT and 75-WATT models are rated IP20 for indoor use only. All models with a power output of 100-WATTS, or higher are IP66 rated, which means they can be used outdoors. If you are installing a LED driver outdoors do not mount it in direct sunlight. This could cause the temperature inside the LED driver to increase beyond its maximum working temperature. This could potentially cause a failure that would not be covered by the manufacturer's warranty. Never submerge a LED driver in water. 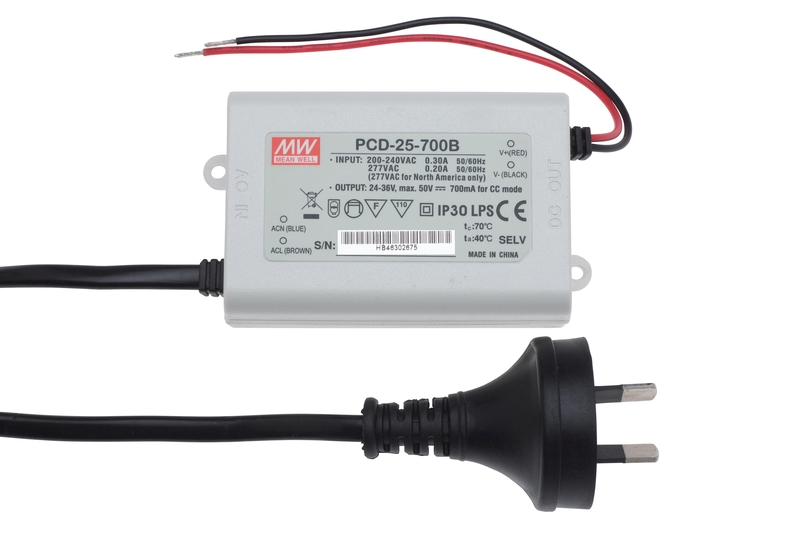 Power Supplies Australia also stocks the MEAN WELL PCD series constant current LED drivers. They available in 16-WATT and 25-WATT models. The LED driver you use must match the power requirements of the LED light fitting. Your LED light fitting will require one of two types of LED driver; Constant Voltage or Constant Current. The incoming AC power supply usually fluctuates somewhat. When such fluctuations occur the LED driver will compensate, so that the power being supplied to your LEDs remains constant. A Constant Current LED driver will allow the voltage to float so that the current remains constant. Constant Voltage LED drivers allow the current to float, so that the voltage remains constant. 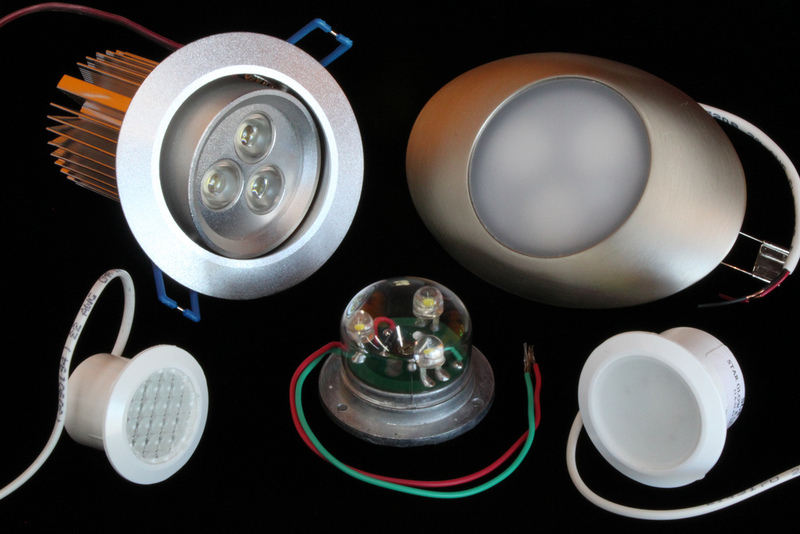 It is purely down to the design of your LED light as to which one you need to use. You will need the electrical specifications for your LED lights to identify which type of LED driver is required. If you would like assistance in selecting a suitable LED driver please do not hesitate to contact Power Supplies Australia. A member or our expert team will gladly answer any questions that you may have. Constant Voltage or Constant Current LED driver?